Long before Heady Topper or Hill Farmstead, Vermont was already at the forefront of the American beer revolution. In the 1970s, the big-name brews like Bud and Coors ruled the roost, and homebrewed beer was still as illegal as moonshine. But a small group of Vermonters—people like Tim Matson and Lee Anne Dorr—weren't the kind to let a little thing like the law stop them from enjoying their own brews. They shared their concoctions with friends and family and then went a step farther: publishing the first homebrewer's guide since Prohibition and selling it out of the back of their truck. Now, forty years later, that groundbreaking book is back. 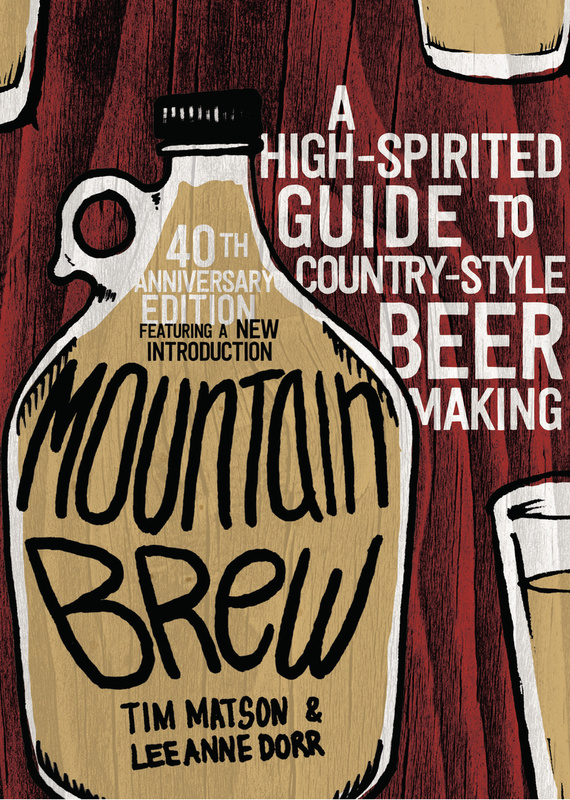 Featuring a brand-new introduction, Mountain Brew shows you how to produce homemade malt, grow your own hops, and keep away thirsty neighbors who want to steal your hooch. Through recipes and colorful stories from their day, let these Green Mountain boys (and girls) show you how to make better beer than you'd ever find at the local watering hole. Lee Anne Dorr got involved in the burgeoning homebrewing scene in Vermont during the 1970s, helping Tim Matson sell copies of Mountain Brew out of the trunk of their car. She passed away in 2009.